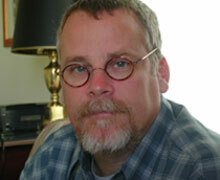 Bestselling crime novelist Michael Connelly attended the University of Florida, where he majored in journalism. After graduation he worked at newspapers in Southern Florida. A feature article he contributed to was short-listed for a Pulitzer Prize in 1986; that led to his being recruited by the Los Angeles Times as a crime reporter. Connelly moved to Los Angeles, the turf of his literary hero Raymond Chandler, covering the crime beat for three years, and wrote his first novel, The Black Echo, featuring LAPD Detective Hieronymus Bosch. It was published in 1992 and won an Edgar Award for best first novel (awarded by the Mystery Writers of America.) Three more Bosch novels, The Black Ice, The Concrete Blonde, and The Last Coyote followed. In 1996, Connelly published a “stand alone” thriller entitled The Poet. 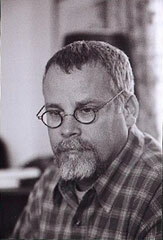 In 1997, he published another Bosch novel, Trunk Music. Blood Work, yet another non-series thriller introducing FBI profiler Terry McCaleb, followed in 1998 (Blood Work starring and directed by Clint Eastwood is scheduled for release in the fall of 2002). Michael Connelly continued the Bosch series with Angels Flight (1999), Void Moon (2000) and brought Bosch and McCaleb together in Darkness More Than Night (2001). 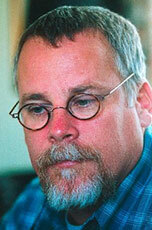 Harry Bosch returns in City of Bones, Michael Connelly’s 11th and latest novel. Connelly was involved in the creation of a TV cyber crime series, Level 9 in the fall of 2000. He has won numerous international awards and his next novel, another stand-alone thriller, Chasing The Dime, will be published in October 2002. Michael Connelly currently lives with his family in Tampa, Florida. Michael Connelly: …well, I hope it has. It has to go back further than 10 years. My first book came out 10 years ago and I was very, very inspired in the 10 years before that by a few different writers. I saw their work as definitely elevated over your standard crime fiction. People like James Lee Burke and Lawrence Block—I really admired what they were doing. They pointed out what the possibilities were of doing more than simply writing a story that was entertaining and that might have some valid comment or reflection of what’s happening in the world. RB: Does Elmore Leonard fit into that group? MC: Yeah. Whenever I start naming names I’m going to leave people out. James Lee Burke for some reason was the guy writing in the ’80s, writing crime or genre fiction who really hit me between the eyes, with what you could do or aspire to. RB: He didn’t start out writing crime fiction. MC: Right. He was a literary writer from the beginning, but there were crimes in his books. I think he—I hate speaking for another writer—he’s a guy who writes his story and keeps his head down and leaves it to other people to classify him. He had a difficult time getting published for a while, and he wrote a story that had a detective in it. As soon as a story was carried by the detective, he was suddenly reclassified. Did he consciously go into it thinking, “I have to get reclassified”? I don’t know. I bet he didn’t. I bet you he doesn’t care. MC: …that would clearly broadcast it. Elmore Leonard never uses the same character or at least in name. He kids about how it is the same character. But he clearly was classified as a genre writer. That’s a hard question to answer. Maybe the pursuit that is engendered by the crime or if it’s a bad-guy story—the crime that is going to be committed—is the all-encompassing through line. There’s a lot of non-genre fiction that does have a lot of crime in it. With me it’s very easy because I most often write about a detective. It’s very easy to classify mine as that. But there are people like Elmore Leonard—who for the most part doesn’t write about detectives—so it’s interesting why they would be classified that way. RB: Resolution of the plot is a not a big issue in his books. RB: You have taken a couple of turns in the last few years. And in City of Bones you have taken another turn. Where are you headed? MC: I don’t know. What I am doing is just in pursuit of keeping the character vital and interesting to me. I am a strong believer that whatever happens in the writing process happens in the reading process. As much as I like exploring the character of Harry Bosch, I’ve done it eight times now in the context of murder investigations. Here’s the inciting moment; here’s the resolution. I’m not tired of Harry Bosch, but I am a little tired of that framework. So things happen in City of Bones that the next time I write about him, I’m going to change that framework. I am going to start a book this summer, but I don’t know how I’m going to do that yet. RB: You have within the last few years introduced another character, Terry McCaleb (Blood Work, Darkness Greater Than Night) and also written The Poet. MC: A lot of that is in deference to Bosch. The more I write about Harry Bosch, the more I need to take a break from him. The character can not remain static. From book to book he has to evolve and change and you have to peel of the layer of onion. That’s getting hard because I have written about him eight times. So invariably when I am done writing about him I want to forget about him for a little bit. So I have dropped into this cycle of alternating between him and other books. I have one done now; it doesn’t have him in it. It’s a “one-off” thriller. Since we are talking about classifying I’m thinking it will be classified as a “techno-thriller” because of some of the subject matter. RB: Do you know Phillip Kerr’s writing? MC: I know some of his early writing, The Berlin Trilogy. RB: Is he a genre writer? MC: I think he very consciously tries to break any barrier around him. Some of his stuff, like The Berlin Trilogy to Philosophical Investigations, would fall into genre. Some of the stuff that Kerr has done, like The Grid, falls into that. Is Michael Crichton a genre writer? I don’t think so. What I just wrote will fall into that. It will be interesting to see what is said about me after 11 books as one kind of writer. RB: When all is said and done, do you care? MC: No. I remember when I wrote my first book. When it got published—you get these pre-publication reviews and the first one I got was in Publisher’s Weekly—and they called it “police procedural” and it was the first time I have heard that term. I came to realize that’s my box and I have been in it ever since. Like I was saying about Burke, the best thing you can do is keep your head down and write the story that you would like to read and let other people deal with that. RB: I would imagine there is a normal concern about being acknowledged for your talent and for your efforts. Maybe the greatest acknowledgement is that people buy your books and you get awards. What does it mean to you to have a fan like Frank Conroy? MC: Well, it means a lot. At the same time I am very happy to be this guy who is considered on the top end of crime fiction. That’s fine for me. That’s a pretty cool place to be. But ego drives a lot of writers and it drives me. I can be pretty modest with you, but I have to admit when I am by myself I have goals and I want my stories to be read. And I think there is some art in them. When you hear some one acknowledging them—it doesn’t matter who it is, whether it’s someone like Frank Conroy, which is great, or someone who comes into a book signing and tells me that me and John Grisham are their favorite writers. That’s cool. You seek that kind of ego gratification on every level. The thing is it’s more often likely to be the lady at the book signing that says that than someone like Frank Conroy. RB: Would you like to be part of the wider literary culture’s public discourse? MC: I don’t even think about it. I’m pretty easy going. When I get approached for stuff, I consider it terms of time constraints; not the organization that wants me to talk. It doesn’t really matter to me. RB: I’m asking more about whether your participation in a wider literary discourse would move you out of the genre ghetto? MC: I would say yes. After writing 11 books, I would much rather talk about the craft of writing than talk about who are my favorite mystery writers. That becomes a repetitive thing if you go the route of mystery conventions and mystery panels. Last weekend was the Los Angeles Times Book Festival, which is a really wonderful event. It’s huge. In the early years I was always on the mystery panel. Recently, I have been able to be a one-man show and talk about what ever I want. It’s refreshing to talk about writing and more about the character and thematic things that I am trying to do. As opposed to who do I see playing Harry Bosch in the movies, which is a lot of what happens at the mystery conventions. Having said that there is a huge comfort zone in those because you know the game and how it is going to be played and you have more of a predisposed winning chance there. You are talking to people who are familiar with your work. What I try to do is have a balance of those. MC: Because of the popularity of this genre, books, TV, movies or whatever there is a huge appetite for it and that translates into a wide range of what is out there. From really good and pure art to really bad and not worth your time. So whether you are looking at books or movies or TV you can find great stuff and really bad stuff. RB: That CSI show is very popular, which would indicate a large interest in forensics. MC: I think the danger is when you put that first. My latest book has a very strong forensic track through it, more so than my previous tracks. But it doesn’t take it over. It’s not the backbone of the narrative. Hopefully, people will see a character study in there, which I think is more important. The books that balance that do the best and are the best. You can watch CSI or the Discovery Channel and you can get all the forensic knowledge you want but you are not going to get a good character piece out of that. Writers who become fascinated by something like that are making a mistake. RB: Do a lot of law enforcement people reading your work? MC: By the time I end up a book tour I will have 50 or 60 cards from detectives that came to book signings around the country and are willing to help me and so forth. I have a pretty strong contingent of cops in LA who read me. I don’t paint a very nice portrait of the LAPD as a bureaucracy or an institution, but I have this noble guy working against that backdrop trying to do a good job, and I think their eyes go to that. They’ll put up with me describing their team in generally bad terms as along as this player is someone they see something of themselves in. RB: That is an interesting tension in your main character. Bosch is in many ways an outsider or renegade, but he voices this belief and commitment to the police work that he is doing and its importance. MC: He has done that for a long time, but he has hit a bit of a wall and questioning that. From day one, I always thought I wanted him to be would be an outsider with an insider’s job. I typed that and put it on my computer at one point. That’s kind of carried through. I think it serves him well so that he can be the way you described him. RB: I don’t want to give away too much of the book, so answer this however you like. What are people who have read the book saying? MC: I haven’t gotten a whole lot of feedback about he ending. Yeah, you have got to finesse this because you never want to give out the ending. I think what I am about as a writer is Bosch, and so when I am not writing about Bosch, I am really helping myself so that I can get back to him. So I am not done writing about Harry Bosch and he’s going to come back and hopefully I have three or four, maybe even five books with him. What I think happens in City of Bones, it ends ambiguously but with the opportunity for a new direction for him on a character level. I’m not exactly sure what that is yet and don’t want to—like Keith Jarrett, I want to wait until I am sitting down at the piano to decide that. So I don’t want to over think it. As much as I could do in making Bosch an interesting and hopefully unique character, I was stuck in this framework—an inciting incident, a murder and he is called out and it has to be solved at the end. So there is a framework that is really difficult to break. And I dropped him into that framework eight times and I am getting tired of that frame but I am not tired of Harry Bosch. So I wanted a story that would allow me next time, to get out of that frame. RB: That would be another characteristic of genre, the writer starts of with a lot of choices that are already made. MC: I don’t know if you know a writer named Juan Carlos Blake. He’s a very obscure writer. He won the LA Times book prize a few years ago. He has a book out about robbers. This book was classified as genre and sold in the mystery stores and he really wasn’t in there before. I read an interview with him where talks about a series being a killer because you start right away and you know the guy that you meet on the first page and ride through the story is going to be living at the end. He said if you don’t have that threat of ultimate danger and fatality then what’s the use. I don’t totally agree. It also presents a challenge to find the risks elsewhere. So I have been able to stay with a character but there is this framework that is really hard for me. RB: You mentioned that there would only be a few more Bosch books. How do you know? MC: First of all, he is dated. He’s born in 1950; I always tried to write from a realistic viewpoint, not only about police work but also in character. I think it’s going to really beg he question how long this guy can do this, how long could he keep going into the darkness with out being totally swallowed by it. I don’t want that to happen. I hope that the overall arc of the series is that he heading toward light, the light at the end of the tunnel and fulfillment. And so if that is my ultimate goal is to end this thing on a story where he finds that it’s got to come sooner rather than later. I don’t think it will be believable to me, and if it’s not believable to me, it won’t be for the reader. You have this on tape, maybe in ten years you’ll bring it up to me. RB: Is Blood Work the first of your novels to be made into a movie? MC: Yes. As they came out, I did sell the first four Harry Bosch books in order to the same studio, the same producer. It’s all very legal but I could technically sell a Bosch book now because they have had Harry Bosch, the character, for over 10 years. And they were 10-year deals. So in a way he’s reverted back to me. They are still working very hard to make a movie out of Harry Bosch so I wouldn’t pull the rug out from underneath them and sell him to a competing studio. I’m still happy with their efforts. There has been no movie but it’s not for lack of trying. There have been seven different scripts written on four books. They just have not captured the character. They are about to start an eighth so we’ll see what happens. RB: Terry McCaleb, who is in Blood Work, is also in Darkness Darker than Night. So you no longer own him as a character? MC: Right. Darkness was a book that when I wrote it I knew was totally unsellable to Hollywood because it has all my different characters in it. And they are all owned by different entities in Hollywood…. RB: (laughs) A terrific book, by the way. MC: Thanks. So once you clear your mind of that note that there is going to be no Hollywood angle to this it was a bit freeing up. I don’t want to act like I write everything with Hollywood in mind. When I don’t write about Harry Bosch or when I am writing a “one off” there is the aspect that there could be a pot of gold at the end of this book if Hollywood comes calling. RB: Did Clint Eastwood come to you on Blood Work? MC: (both laugh) …he made a preemptive strike on it before I was done with the book. And we met and even talked about things he thought I might want to consider changing before I finished it because they would not be the way I had them in the book in the movie. It was an interesting conversation. RB: I’m sure. You write the book and then somebody else writes the screenplay. You didn’t write it did you? MC: No, So Eastwood and I had this meeting almost five years ago. And he told me in that all-morning-long meeting that I wouldn’t hear from him again until he made the movie. That’s the kind of filmmaker he is. He has his own team and so forth, and he was true to his word. Four years went by and I never heard anything and then the script was delivered to my house. I read it and it was quite good. I got excited about it after four or five years of anxiety about what would happen. Eastwood is 25 years older than the guy in the book is and that was a big thing about how that would be dealt with. The script catered to his age now as opposed to him trying to pass for a much younger man. That was a relief, but I did have some very minor thoughts and notes. But I didn’t think I would have the opportunity to voice them. Then he [Eastwood] just called me out of the blue and asked me what I thought of the script. I ended up by sending him four pages of notes and he responded saying he agreed and liked the notes and as he said, “I’m going to use them all.” So after not being in the loop it felt like, maybe out of courtesy, I was at least somewhat involved. RB: You did say movies were not a preoccupation but as one book is in the process and others may be made, do the film possibilities loom larger? MC: Yeah, it looms larger in terms of Harry Bosch. It’s kind of like this thing that I thought could never happen or likely would never happen now might happen. If this movie [Blood Work] is received well in any way, critically or commercially, it could jumpstart these other projects. It raises the specter that Harry Bosch could become a celluloid image, whereas with McCaleb it doesn’t mean as much because I feel I am done writing about him. As I said with Bosch, I hope to write three or four more books. If he is spoken for visually by an actor it might be hard to write about him. I could [try] never to see the movie but that’s not in me because I love movies. I would have to see what they did. So that is cause for a bit of anxiety. RB: Was The Poet optioned? MC: Yes. But it’s the least likely to go anywhere. It’s on a shelf somewhere at HBO. Actually, it may go somewhere. All these things eventually come back to you. It’s kind of like being up to bat and fouling off a lot of stuff. Eventually you’ll get your hit. The Poet, which got mired in development troubles, comes back to me next year. The thing is that technology moves so exponentially fast there are aspects of The Poet that are completely outdated and present a problem in making that movie. One of the key things that is used to track the bad guy is digital cameras and how rare they are [at the time] and that’s totally obsolete. How do you replace that? I don’t know. RB: It’s interesting that it all comes back to you. You are a best-selling writer but have no screen credits. Talk about exponential, if the movie does as well as Eastwood’s other movies your name will have an exponential boost in the top of mind consciousness of Hollywood dealmakers. Not to mention boosting book sales. MC: I think I have had kind of a prominent name behind the screen because I have sold six or seven books to Hollywood and because I write about Hollywood and LA there is somewhat of a following for me. Eastwood’s movies haven’t been big hits in a long time. His last movie made over a 100 million dollars, which by Hollywood standards is the watershed. But that was the first time above that in 10 or 12 years. I don’t have great anticipation of this changing my profile. I don’t think that’s the kind of movie that’s going to be made here. RB: The benchmark that you are talking about is all about the rising production costs of movies. I wouldn’t think that Eastwood’s movies had lavish production budgets. MC: 100 million dollars for an Eastwood movie is significant. That’s like tripling the investment whereas with most movies it’s breaking even. This movie did come in under budget and two days early, the usual Clint Eastwood thing. RB: You drop quite a few musical references in Bosch. Do you listen to music a lot? MC: When I’m writing him I listen to it. I don’t want to say I’m an aficionado about jazz. I didn’t come to it until I was writing about Harry Bosch. I wanted him to be a guy who liked jazz so I got some advice and started listening as I was writing him and it’s grown from there. It’s not like I have a shelf with 400 jazz CDs; I probably have 50 or 60. RB: You referenced Art Pepper’s life story in A Darkness More Than Night. MC: One thing leads to another and I go out on the road and people who have liked the music I have mentioned in prior books will suggest something else. Art Pepper’s autobiography is absolutely fascinating and to have the music accompany it is really cool and I realized he was playing and living in Hollywood very close to the places where Harry’s mother would have lived. So I kind of invented this fantasy that Harry had about him. RB: This may sound like a variation of the question, where do your ideas come from, I don’t mean it in that way. (Having said that it may be hard to dispel that notion.) You live in LA/Southern California. What information that comes at you do you pay attention to, movies, and newspapers? MC: I don’t live in LA full time anymore because of a family situation on my wife’s side. We moved to Tampa about 10 months ago. We kept a place in LA and I am constantly back there. My actual writing office is in Tampa and I write about LA from there. I’m not going to invade Carl Hiaasen’s territory or anything like that. I’m writing contemporary Los Angeles from memory and then checking my memory. So it’s been an interesting year. I used to live there and take in LA by osmosis, but it’s a little different for me now. Where the ideas that become books are generated from are rarely from newspapers or TV. It’s more like from people interaction. Cops telling me stories. They don’t know what they have. They think these are just funny anecdotes. RB: I’m trying to get at what the raw data is for you. MC: I read the newspapers and I have the Los Angeles Times online. It’s because I want to know the factors that are kind of ancillary to what I am writing, the politics and so forth. Whether I was there or here I have been a reader of even the Hollywood Reporter. Not necessarily because I wanted to know where my stock is but you get a good sense of the community or what’s important to the community from the trade papers. I do a lot of reading that is Los Angeles specific. Actually the book I just finished I could say started with a newspaper article of maybe eight years ago and then I gathered string over the years, but most of the time my stories come from personal interaction. City of Bones is a strange exception. It struck me at one point that the Internet is the new vogue, the criminals are way ahead of the curve to the Feds in real life. Police agencies are going to have to try to catch up. I thought that would be the fodder for a lot of my work in the future. So I enrolled in this forensics symposium at UCLA where you could take many different tracks in whatever you were interested. They had a computer crime track and I signed up for that. In the classroom next door was the anthropology track and during breaks in the computer stuff I would go into the anthropology class and gather up the handouts. It was many weeks later that I actually looked through this big stack of handouts and I came across an academic report on the bones of a 12-year-old girl that had been buried and what anthropology told the investigators and how it helped them and led them down the right path to the killer. That was four or five years ago, and from that City of Bones grew. But that was unusual. My book Void Moon, the whole thing came out of a conversation I had with a cop, while I was leaning on his patrol car, who had come by a book signing but was on duty and couldn’t go into the store and so he waited for me to come out. We were shooting the breeze and we talked about this burglar who was hitting the Sunset Strip and he told me a few of the details and that became this burglar who was hitting the Las Vegas strip. RB: What’s it like to go from LA to Tampa? MC: It’s just strange. It’s a strange culture shock. It’s not totally alien to me because my wife is from there and I have visited there. MC: Yeah, it’s slower and it’s good. In a movie town it’s hard to be any kind of celebrity based on books unless you are James Ellroy. But I did reach this point where I had many distractions when I would leave my home. It was good to get away from that. What I found was really good was writing about Los Angeles from memory. My process for 11 books was to hang out, absorb and then write. What I would usually do was physically investigate or hang out the places I was writing about. And I don’t do that anymore. In the last year it suddenly changed to remembering what places were like and it’s really changed my writing. It might seem subtle from the outside but when you are sitting in front of the computer it’s quite different. That’s what I was fearful of when I decided to make this move. It became unfounded fear because it went the opposite way and made me really enjoy the writing. To use the cliché, I was using a different creative muscle group. I wrote a book very quickly because I became enamored of this new style and because I had no distractions. RB: I can’t let this pass. Why is James Ellroy a celebrity in LA when he lives in Kansas City? MC: …well, yeah. He’s a performer. He’s a great writer but also a public performer. The media loves him. When he is in town it has an event status. I doubt James Ellroy can walk down Sunset Boulevard without being stopped several times. So Ellroy is unlike other writers in that regard. RB: But you will return to LA? MC: I’m attached to it, writing-wise. And I’m fascinated by the city and I have no ideas about writing about another place. I want to be close to it. RB: So many writers have characterized LA as the loneliest place in the world. MC: It may be, but writing is pretty much a lonely pursuit. You have to enjoy the introverted life of being inside the whole time. Except for the one month a year when your book comes out and you suddenly become a public person. I’ve never had trouble with that. It’s part of the reason I like Los Angeles. My family has more trouble than I do. My wife won’t lose a wink of sleep if we never go back to LA. I will. But that’s part of the struggle you face. RB: Southern Florida has a large community of crime storywriters. Is it because they teach it there at places like Florida International University? MC: At one time they had James Lee Burke, Charles Williford and James Hall. And that’s where Dennis Lehane came from. That’s pretty cool. I don’t know whether that’s why there is all this—I would actually say that it was more likely because that’s where the weirdness of crime emanates from. I really think it comes from two places in this country. LA and South Florida, and much more so from South Florida. RB: The stories do see to be more humorous out of Florida. RB: The LA stories seem to be grim and harrowing. The writers out of LA don’t seem to go from humor. Hiaasen and Hall and Leonard and Shames do go for the funny. Do you have a great ambition? Or not so grand ambitions? MC: I think I’m living my grand ambition. I always saw journalism as a means to an end. So now I’m at the end. I’m doing wildly better on every degree than I ever thought would be happening in terms of commerciality, financial, critical. Everything is more than I ever conceived could happen. So that when that happens it’s hard for me to formulate a grand ambition past that. My ambition is to keep writing for the time being keeping Harry Bosch interesting. I feel that there is a level within this wide-ranging genre of crime fiction that has some validity to it. I want to get on that level or hold myself on that level. And that’s hard enough to do. That’s a good enough ambition for me. RB: You will continue to write? MC: It’s not like I suddenly want to direct movies. I’ve dabbled in those arts and have come running back. I created a TV show a few years ago and was very involved in it. The whole episode while very interesting and exciting in the moment that I was doing it as soon as it was over I was relieved and happy to be able to come back to writing books. I was glad that [writing] wasn’t something that went away. MC: There are other things you get stepped on. And there’s nothing wrong about getting stepped on by people with talent. One thing that surprised me about my venture into TV and film is the amazing amount of talented and smart people. There is a whitewash that everyone has a cell phone to their ear and is an idiot. Not so. I met people that inspired me and continue to inspire me by what they do and how they approach it. Really fantastic people. At the same time they are only a part of it and if they are only half of it, why do it? From my standpoint, I have success writing books, why go into that if one out of every two people is an idiot? And it not just one out of two, it’s five out of 10 because there are so many people who have their opinion depending on what kind of power and leverage they have they can force their opinion on you. That’s the way that game is played and I accepted it. And that’s fine for the year I lived in TV. I just don’t think I need to do it again. RB: The scary part is not the idiot half but the bright people who are in the service of what? Establishing a brand? Producing a half-hour comedy that will be forgotten next year? Selling more beer? MC: Everything we do in the world comes down to ego fulfillment. That’s the way I view it because that’s the way it is with me. I really have a struggle with these really smart people. Why are they doing this stuff? They never get any credit. Their pure artistic efforts get stomped on. Maybe “stomped” is too strong a word. Nothing in that business comes out as what you envisioned. It gets formed by other people. I had a show that was on TV that said created by me and I was a producer but it wasn’t my show. Other people really made it and I was along for the ride. It wasn’t what I envisioned and sold in the first place. If you come from a world where everything is yours—yes my books are edited—but no one changes anything unless I agree to it or I see the light that they are trying to put me towards. It’s very much yours. Nothing that comes out in TV and movies you can really say that is yours. Maybe that has something to do with why I moved to Tampa right after working in TV? Posted in Author Interviews and tagged Journalists, Michael Connelly, Novelists, Robert Birnbaum. Bookmark the permalink. Trackbacks are closed, but you can post a comment.